You know you’ve made it when you’re the darling of a million memes, greetings cards and fridge magnets. That is despite the region doing next to nothing in the way of UK marketing, and not even having any real brands to speak of. Yet sales of the north Italian sparkler have been on an upward trajectory for years. Prosecco grew 24.7% in volume and 22.6% in value to £450 million in the past year (IRI, year to March 2017). Analysts at IWSR believe it will grow 17.3% in volume by 2020 and shore up ailing still wine sales, while the region itself predicts UK exports will soon overtake domestic sales. Hence the mass panic that greeted stories in 2015 of a “Prosecco shortage” that was tipped to drive prices up and rob people of their everyday luxury. They were staring down the barrel of an end to bottomless brunches and tipsy Tuesdays, and they did not like it one bit. Matters were exacerbated by news this spring of frost ravaging the region – which extends over nine provinces from Veneto to Friuli-Venezia Giulia – and producers reportedly losing up to 40% of their fruit. But suppliers are keen to downplay any fears. “There were some problems last year and in 2015 regarding supply of larger volumes for major retailers but now the situation appears to have eased quite significantly with no shortage and even an oversupply, with prices softening at the lower end of the market,” says Nick Tatham MW, wine development manager at Continental Wine & Food. That is a challenge posed to the Franciacorta region, which makes high quality bubbly in the traditional method in Lombardy. Some of the 100% Chardonnay wines it produces are exceptional, and they are enjoyed by catwalk models instead of Champagne in nearby Milan. Sparkling wine in general is the great success story in the trade, and Italy is very much in the driving seat. Still wine sales, however, are going in the opposite direction, with the Old World bearing the brunt, and Italy is no different: sales are down 6.1% to £630 million (IRI, year to March 2017). As Pinot Grigio dwindles in popularity somewhat, the challenge is replicating the success of Prosecco with other still wines. “In Italy the decline is largely down to the end of the Pinot Grigio boom and the success of Prosecco in its place,” says Tatham. “Italy is already making a range of white wines which could have wide appeal to former Pinot Grigio drinkers, including old stalwarts such as Soave as well as Lugana, Friulano, Gavi, Pecorino, Vermentino, Vernaccia and a whole host of other fresh, modern, lightly spicy wines. On the reds the lighter, fresher styles of Valpolicella and Bardolino are well-positioned to take advantage of a move towards lower abv wines as well as the Veneto Merlots from the 2015 and 2016 vintages which have great fruit character. Though sales are still climbing, Zonin has a point. In 2015 Prosecco grew 72% in the off- trade, and that fell to 22% in the past year. Thus it is encouraging that growth is coming from other regions of Italy for this leading producer. Italian cuisine is booming again in the London on-trade and the British love affair with Armani, Ferrari, the Amalfi coast and la dolce vita shows no signs of abating. Zonin’s plan is to show the world that Italy is about more than sharp suits and fast cars, and that it deserves a global reputation for quality wine at all price points. 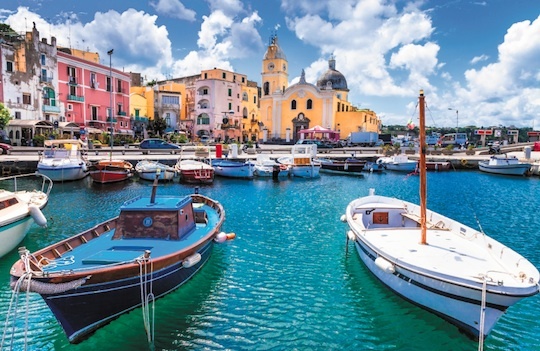 Sicily also wants to show it offers more than sun-drenched vistas, warring Mafiosi and fabulous cuisine, and it is ramping up its focus on the UK as it tries to boost wine exports. Sicily has a larger area under vine than Australia, according to Rallo, but yields are much lower, so the quality is there to appeal to UK buyers. “Italy has grown exports over the past few years thanks to a number of wineries overcoming an incredible challenge,” he says. “In Italy we lost 12 million hl in terms of [domestic] consumption. We insisted on quality and, thanks to Italian entrepreneurs, these were exported across the world. We kept second place in terms of export value after France, and second in terms of volume after Spain. 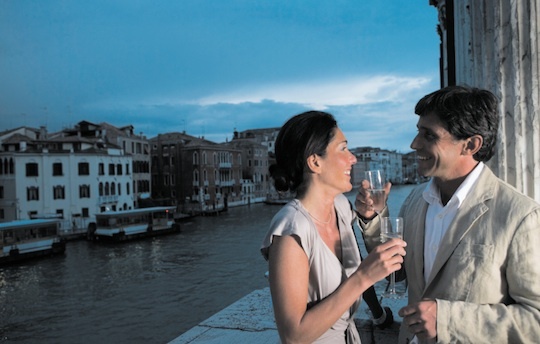 Thanks to Prosecco we have reached many new consumers across the world. I am a producer of still wine, but I am happy about this phenomenon. World-renowned producer Gaia is even getting involved as it has invested in an estate near Mount Etna, which fills Rallo and his colleagues with pride and buoyancy for the future. Girelli at TWP embodies this optimism. “We have a very strong focus on organic wines and we offer a variety of organic wines, mainly from Sicily,” he says. “They perfectly represent their terroir and at the same time respect nature and our land. Today these are important values for customers and are becoming more relevant when making the decision to buy a product. Italian producers that DRN has recently interviewed do not seem overly worried about Brexit and are keen to maintain strong trading relations with the UK, particularly at the top end of the market. Leading Brunello producers such as Tenute Silvio Nardi, super-Tuscan producer Ornellaia and Campania producer Feudi di San Gregorio are all increasing their focus on the UK and achieving strong results. Prosecco is paving the way at one end, and these premium producers are doing a great job at the other end of the market, so there is every chance the middle ground will receive a boost and overall wine sales will return to growth.